BMW has launched the petrol powered variant of the X3 SUV in India today. This variant has been priced at INR 56.9 lakh (ex-showroom), and accompanies the diesel variants which were launched a few weeks back. Dubbed as a Sports Activity Vehicle (SAV), the X3 petrol is now available for bookings across all BMW dealerships. The petrol variant is available in a single option – X3 xDrive30i Luxury Line. Powering this X3 xDrive30i is a 2.0L, 4-cylinder, petrol motor producing 252 HP of power and 350 Nm of torque allowing it to sprint from 0-100 kmph in just 6.3 seconds. The xDrive AWD system monitors driving conditions all the time to allow for traction to whichever wheel needing it more. The X3 also gets adaptive suspension, electronic automatic differential brakes / locks, traction control, hill start assist, hill descent control, and the likes. 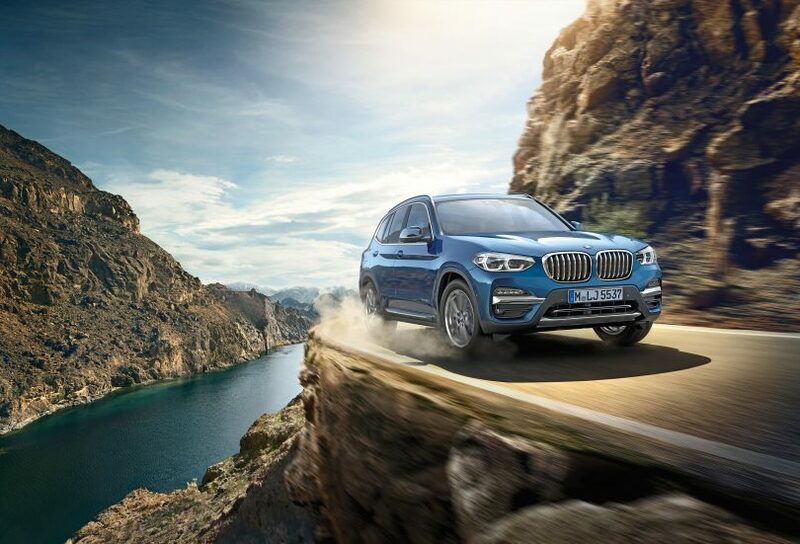 Safety features on the X3 include 6 airbags, attentiveness assist, stability control, cornering brake control, electric park brake, side impact protection, crash sensor, ISOFIX, immobilizer, and obviously ABS with EBD + BA. The new BMW X3 is available in white, gret, sapphire and blue colour options. Interior upholstery can be opted between beige and mocha shades.